I don’t really watch that much TV (I’m including Netflix and Hulu in this statement), but I do enjoy consuming tons of YouTube videos. And as a writer, most of my screen time is devoted to following ‘AuthorTube,’ which is shorthand for channels by writers and for writers. Since I’ve moved from searching for tons of writing advice to looking up publishing advice, my list of top YouTube channels has changed. 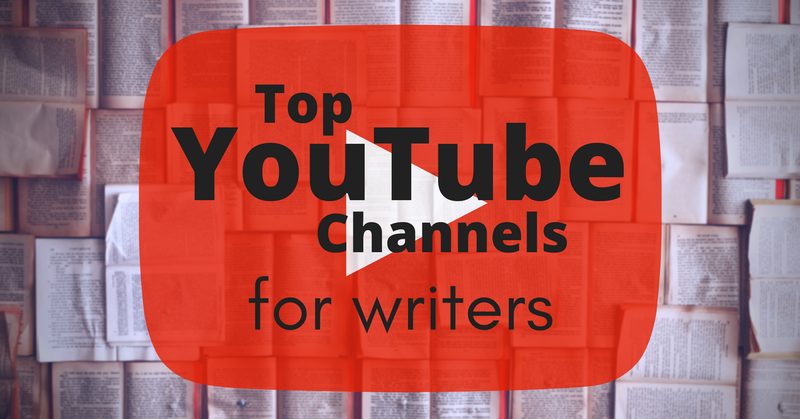 All of these YouTubers are great, but if you don’t have much time to commit to watching writerly videos, I’d recommend starting at the top of this list. I absolutely love Alexa’s channel. Not only does she post videos on writing, but she also has a ton of great insight into publishing. Since she’s traditionally published, she has experience working with an agent and large publisher. And unlike most authors, she isn’t shy when it comes to topics like money, business, and the realities of being a writer. Most important, though, is that she’s an excellent writer, so her writing advice is sound. The self-proclaimed cyborg is the queen of AuthorTube. She’s wickedly funny as she shares tips on writing and self-publishing along with bookish unboxings and reviews on author services. Kim is such a bubbly and optimistic individual, and her excitement is infectious. She has lots of videos on writing and also vlogs to showcase what it’s like to be an author. My favorites are her coffee talks where she openly chats about deeper subject like making realistic goals and the fear of failure. As a full-time writer, Chris absolutely lives what he teaches. He writes both fiction and non-fiction, and the majority of his videos deal with self-publishing. What I like most about his videos is that all of his tips and information are based on personal experience. Megan’s channel does have a handful of great writing advice, but most of her content is bookish videos, publishing tips, and indie book features. I love the Savory Stories series, which is a mashup of cooking and books. As a fellow less-than-stellar cook (I’ve burned soup), it’s hilarious watching someone tackle really complicated recipes in the name of literature. I really enjoy the format of Travis’s videos--rapid-fire answers to writing questions. Each video is packed with information. He also has a number of adorable animals which are occasionally featured in his videos. Mandi self-published her first book when she was only 17, and she’s been writing and posting videos ever since. Her videos focus more on the craft of writing, but she also has a few on publishing and marketing. Bookish Pixie is a no-nonsense channel of writing advice. They're also traditionally published, which is underrepresented in AuthorTube. Their videos are short and to-the-point, making this channel excellent for binge watching.